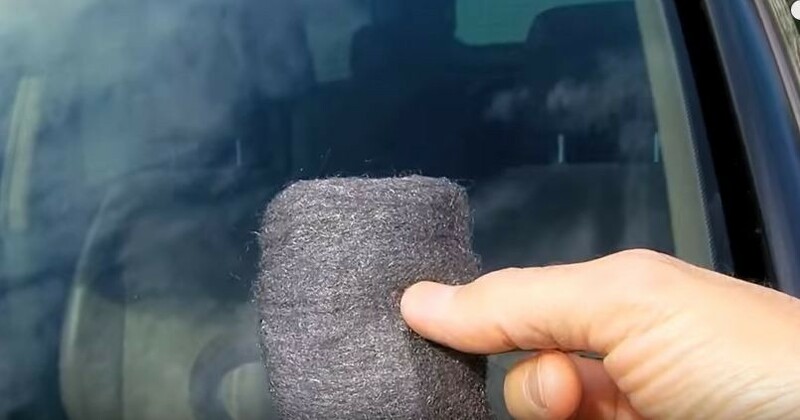 You'll be in Shock to Discover What Rubbing Your Windshield with Steel Wool Can Do! I Still Can't Believe It! You’ll be in Shock to Discover What Rubbing Your Windshield with Steel Wool Can Do! I Still Can’t Believe It! To get a clean windshield you need a clean cloth, some water, a little elbow grease and…steel wool? You read that correctly. While counterintuitive, steel wool is what a lot of professional car detailers use on a daily basis to bring the ultimate clarity and shine to the cars they work on. 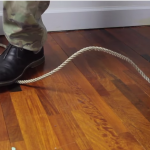 Watch this video to learn this cool trick. Before watching this, I would never have let steel wool get anywhere near my car or truck. Steel wool is, by definition, an abrasive. Abrasives and car surfaces typically don't get along very well. So seeing this video was a shock to me, and now I can't wait to try it. Just make sure you get the super fine steel wool, as it will only remove the dead bugs and grit without scratching the surface of the glass. I know some of you are thinking: “Can I use sandpaper to get the same effect?” No. Sand is harder than glass, whereas steel wool isn't. Stick to the tried-and-true steel wool and your windshield will thank you. Works phenomenal I do it to my car and truck!!! Actually clay magic is what you need. Cost $20. It needs to be the finest grade of steel wool. The thick stuff will stratch the window for good. And brake fluid is great for wax build up on your car. Scratches the$#%&[email protected]*out of it? Make sure it’s 000 or it will scratch. Please blow the shavings off, as the steel wool is highly rustable and can dis color or let rust set in. I’ve been detailing cars for fifteen years and I use it everyday. Get the fine$#%&[email protected]*though.